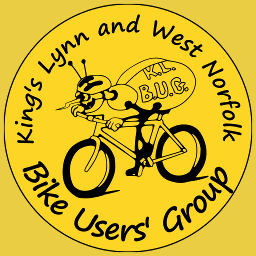 Please note that on most Tuesdays there is a Pedal and Chat ride starting from Lynnsport at 7pm. Find them on Facebook or turn up on the night. BIKE WEEK 9-17 JUNE 2018 Please try to ride every day and if you are on social networks, post pictures tagged #7daysofcycling #kingsLynn #bikeweekUK A week of rides for returning riders as well as grizzled veterans.